MYBOYCHARLIE (IRE) (Bay 2005-Stud 2009). 4 wins-3 at 2, Deauville Prix Morny, Gr.1. Leading Sire of 2YOs in France in 2016. Sire of 593 rnrs, 347 wnrs, 17 SW, inc. Jameka (MRC Caulfield Cup, Gr.1), Sistercharlie, Euro Charline, Peggy Jean, (Sir) Charles Road, Charlie Boy, Blueberry Hill, Camprock, Cheikeljack, Zelady's Night Out, Landfall - Rise High (H.K. ), Siren's Fury, Salai - Skyrockets (H.K. ), Noblesse Oblige, Art of Raw, Sweet Charity, etc. Laudable Lad (g. by Strada). 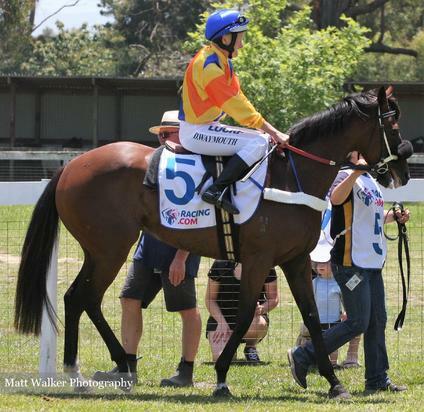 2 wins at 1400m, 1600m to 2017-18, 3d SCTC Access Insulation H.
Good Judge (g. by Mossman). 3 wins at 1100m, 1400m in Aust. Southern Silver (f. by Myboycharlie). See below. Holy Star (g. by Holy Roman Emperor). Placed, 2d HKJC Russian Pearl H., 3d HKJC Severn H., Caribbean Sea H., Planet Ruler H., Xian H.
Landafar (g. by Rock of Gibraltar). Placed at 3 in Aust. Grabbit. 9 wins from 2000m to 3100m, HKJC Luard H., 2d Avondale JC Mitre 10 New Lynn H., BOP RC Guinness Appliances H., HKJC Sandberg Gold Cup H., Suzhou H., 3d Avondale JC Bruce Amies Pharmacy H., BOP RC Rhys Mischefski-Bayleys H., HKJC Elizabeth Arden H., Sapphire H., Chevalier Property Management H., Wang Tak H.
Kiev. 4 wins to 1400m, 2d ATC Lest We Forget H., 3d ATC Canterbury BMW H.
Bachelors Prospect. 4 wins from 1200m to 1600m, A$97,625, to 2016-17, WATC Moment of Change Sold at Magic Millions H., Westspeed H., 2d WATC Golden River Developments H., DP&LK Patten H., Devil's Lair H., Get the Tabtouch H., Perth Racing on Facebook H., 3d WATC Rehau Polymer Solutions H., PSC Insurance H., James Boag's Premium H.
Western Spur. Winner at 1600m in Aust. SYBEEL (Zabeel). 3 wins. See above. Rose Gypsy (Rory's Jester). 4 wins-1 at 2-from 1000m to 1800m, 2d Kenilworth Fillies Championship S., Gr.2, 4th Kenilworth Diana S., Gr.3. Producer. GLENDARA (Show a Heart). 7 wins from 1200m to 1650m, A$325,950, to 2017-18, Qld Tatt's RC Members' Cup, L, BRC Harcourts Northlakes H., Sundays at the Boundary P., Ipswich TC Ray White P., Higgins Coatings H., 2d BRC Treasury Hotel Wedding H., Gold Coast S., BRC Superiorpak H., K Tanchevski Mush 2 Mush H., Origin Jockey Series Heat 3 H., Toowoomba TC Wimmers Soft Drinks H., Ipswich TC Harvey Towing H., 3d BRC Kestrel Solutions H., 4th Qld Tatt's RC Tattersall's Mile H., L.
INSIDE AGENT (Stravinsky). Winner at 1400m, A$110,950, in 2016-17, VRC Poseidon S., L, 2d VRC Hilton S, L.
CELEBRITY DREAM (Thorn Park). 8 wins from 1000m to 1600m, A$364,750, to 2017-18, WATC Jungle Mist Classic, L, Starstruck Classic, L.
MATCHBREAKER (Makfi). 2 wins at 1400m, 1600m in 2017-18, Levin RC Wellington S., Gr.3. SARACINO (Per Incanto). 3 wins at 1200m, 1400m, NZ$184,375, A$178,175, in 2016-17, VRC Danehill S., Gr.2, Waikato RC Foxbridge P., Gr.2, Wellington Guineas, Gr.2, 2d Taranaki 2YO Classic, Gr.3, 3d Manawatu Sires' Produce S., Gr.1, Waikato Sprint, Gr.1. Race Record: 11 Starts 0-2-0 A$13,555.